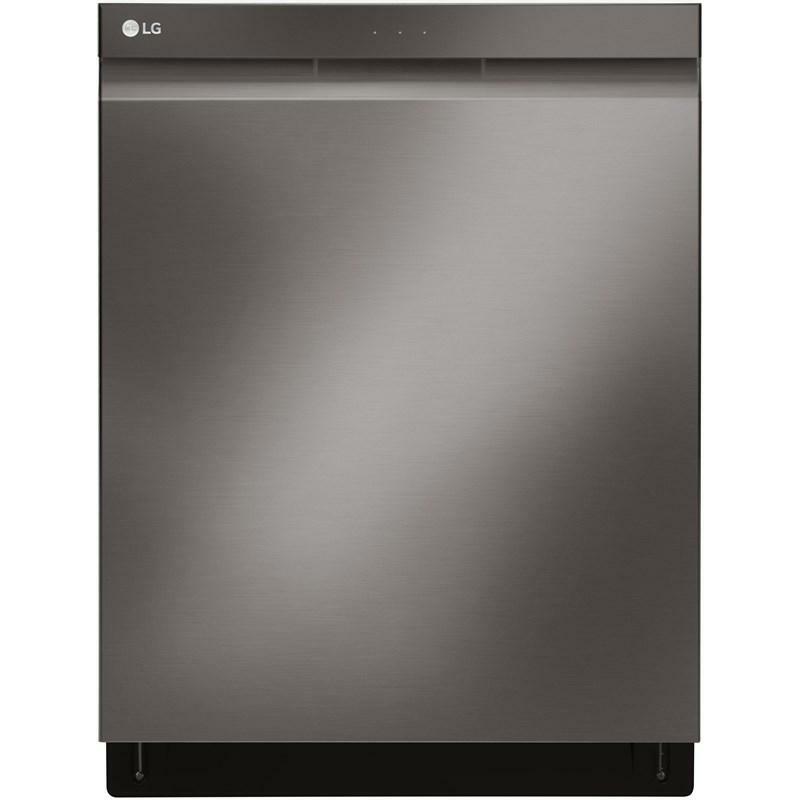 LG top control dishwasher features QuadWash™, adjustable 3rd rack, dual zone wash and can fit up to 15 place settings. 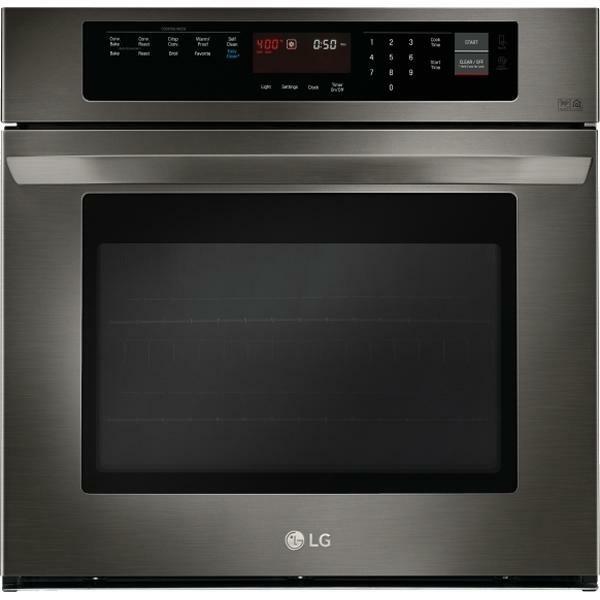 With the LG SmartThinQ™ smartphone app and you can download new wash cycles such as pots & pans or casseroles and even download your own personalized cleaning settings. 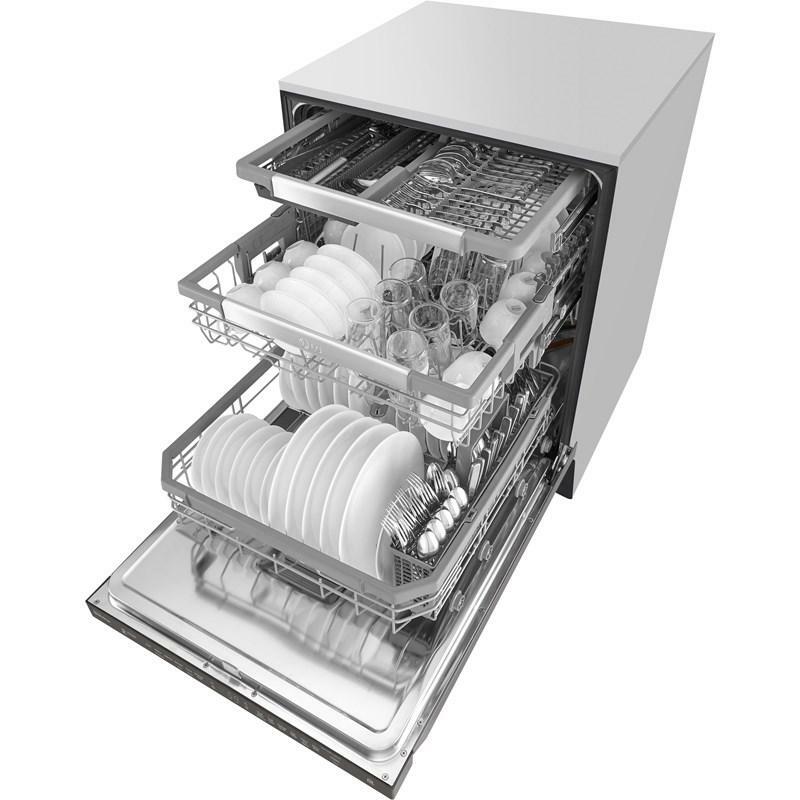 With SmartDiagnosis™ you can troubleshoot any issues that may arise with your dishwasher quickly and efficiently. 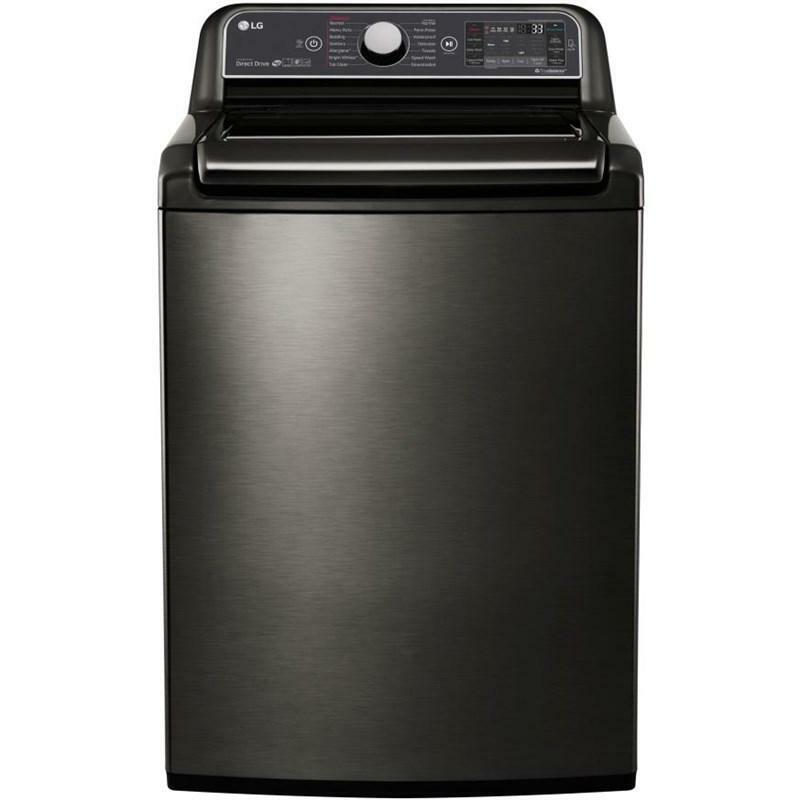 Achieve maximum cleaning coverage throughout the entire cycle with LG’s new QuadWash™ system. With four spray arms instead of just two, QuadWash™ also includes Multi-Motion arms that rotate back and forth while spinning. 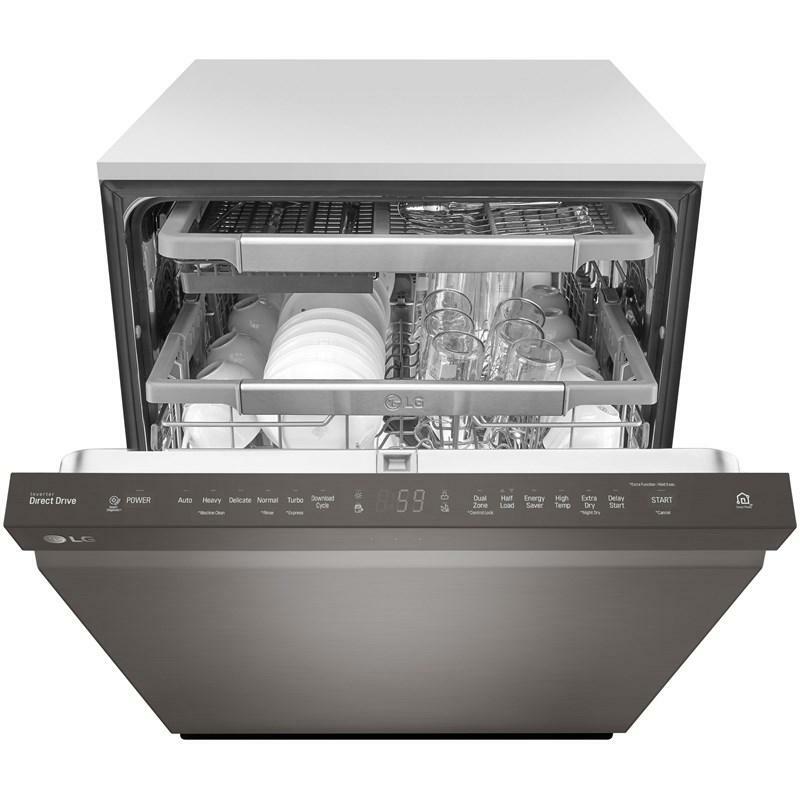 The high-pressure jets power-clean dishes from multiple angles to reach every nook and cranny. 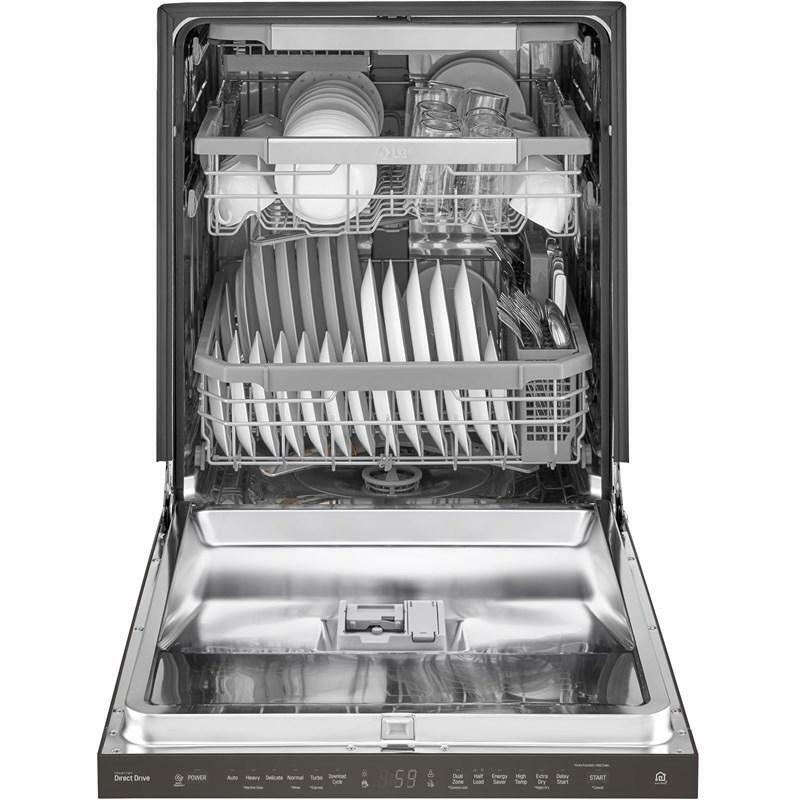 The height adjustable 3rd rack gives you more space to fit everything from long flatware to small espresso cups. 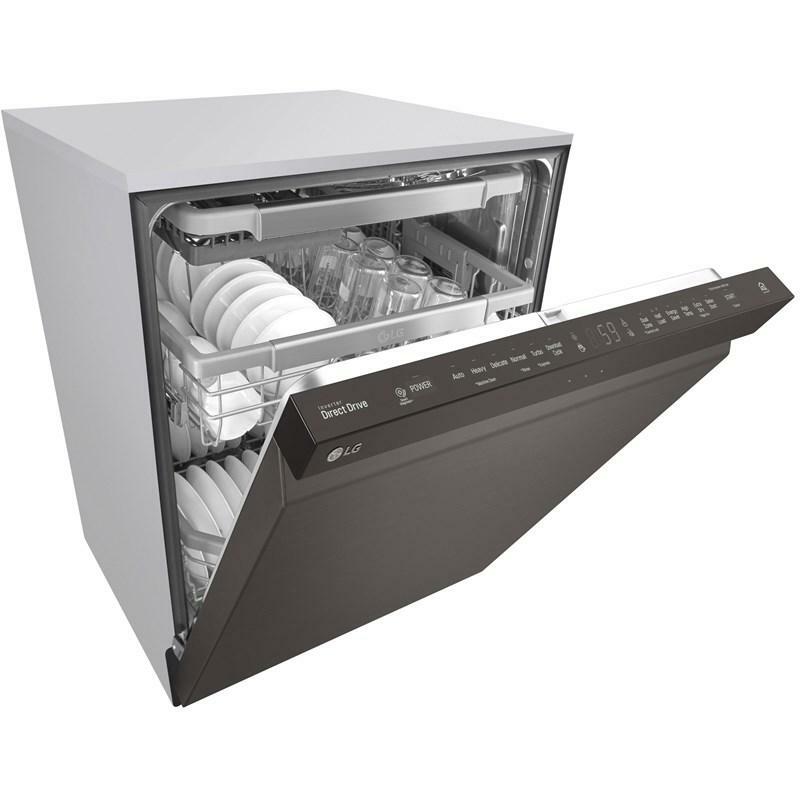 EasyRack™ Plus system provides outstanding flexibility and convenience, adjusting to just about any load of dishes to help ensure optimal cleaning performance. 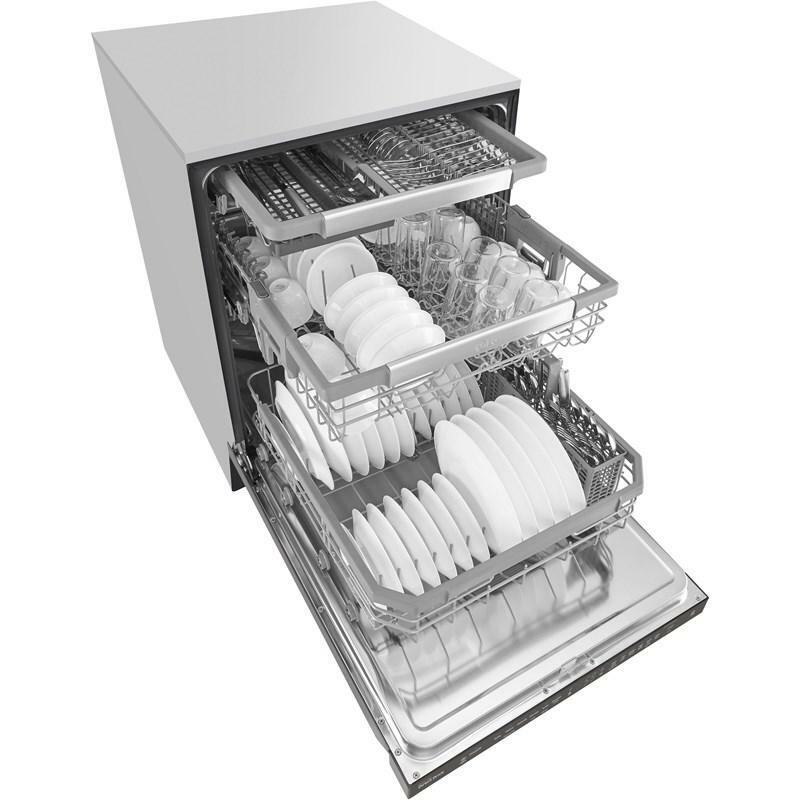 Easy to adjust on-the-fly, this racking system can shift to handle any challenge your dishes can serve up. 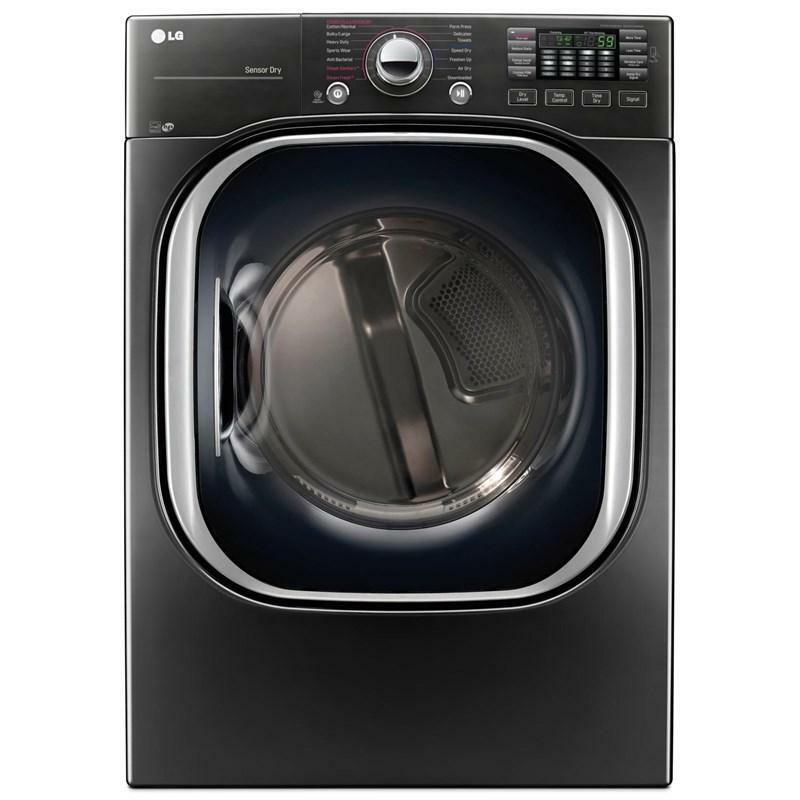 LG’s technological advances, like the Inverter DirectDrive motor and the advanced self-cleaning filtration system, were designed with quiet in mind. 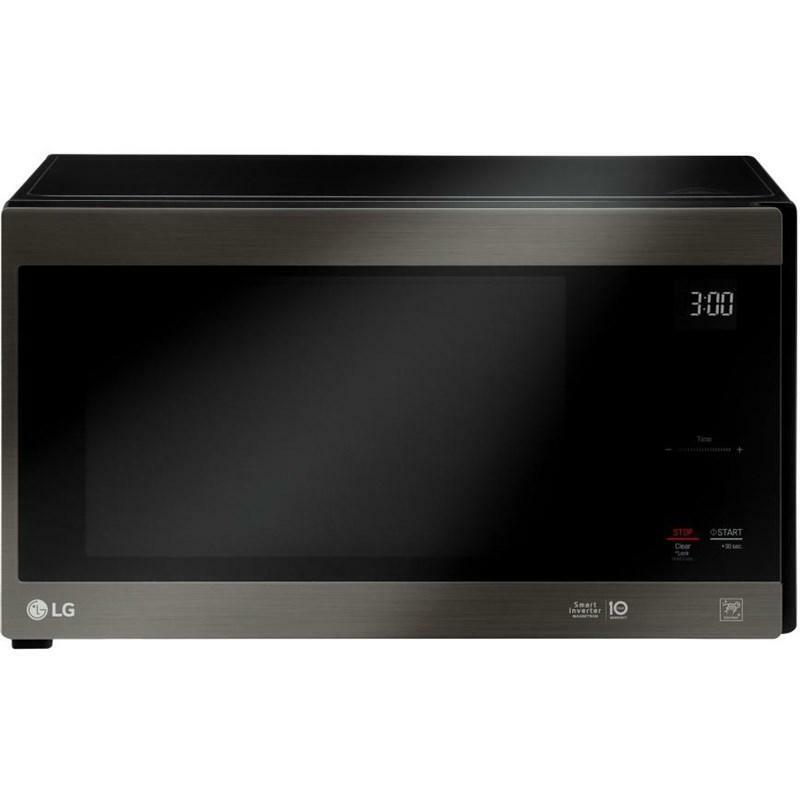 With the LG SmartThinQ™ smartphone app and you can download new wash cycles such as pots & pans or casseroles and even download your own personalized cleaning settings. 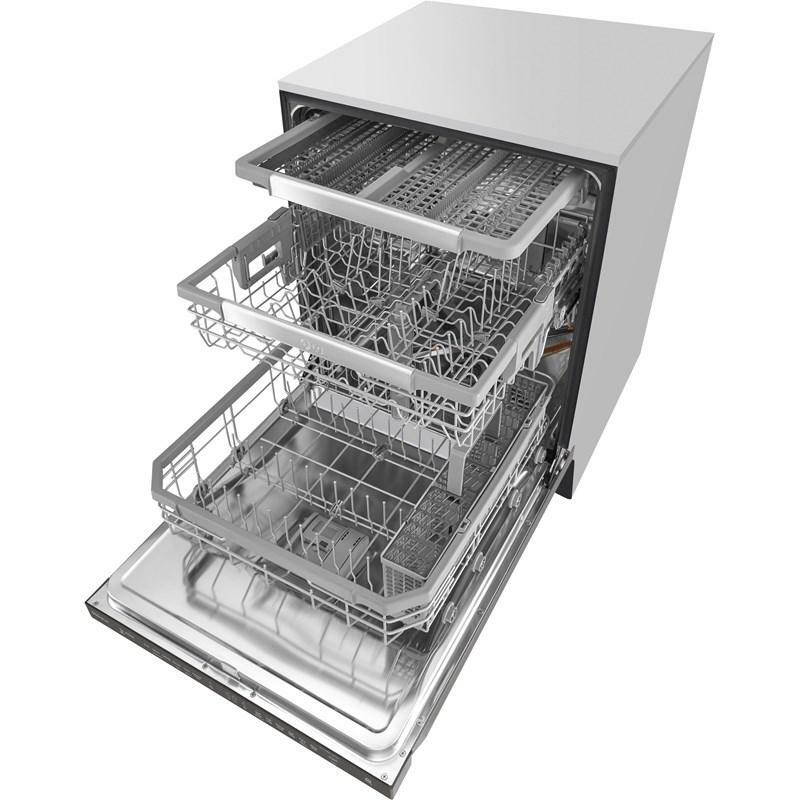 With SmartDiagnosis™ you can troubleshoot any issues that may arise with your dishwasher quickly and efficiently. 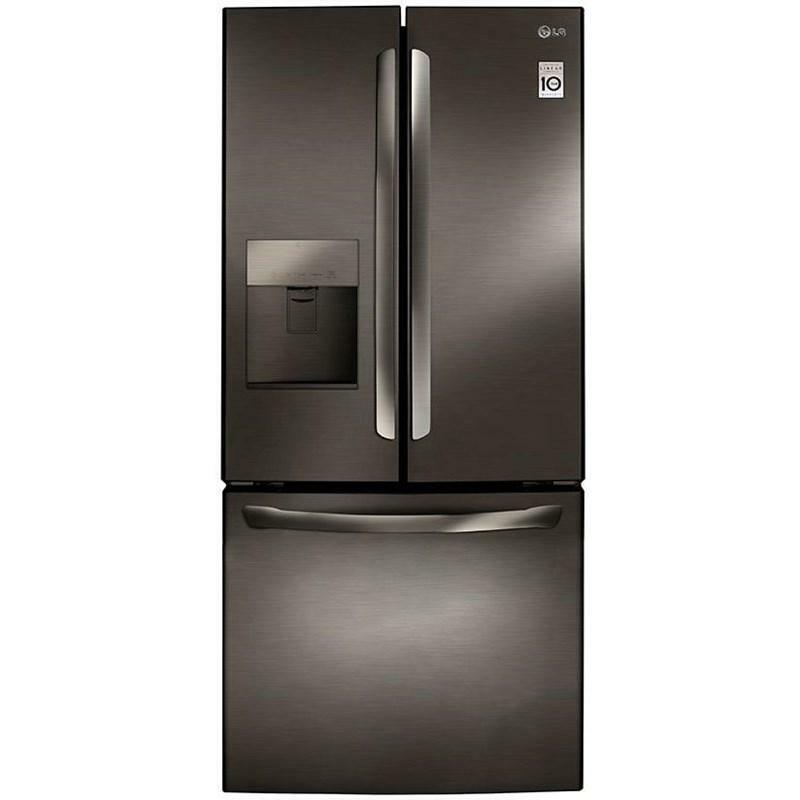 LG's Inverter Direct Drive Motor was designed with quiet in mind. 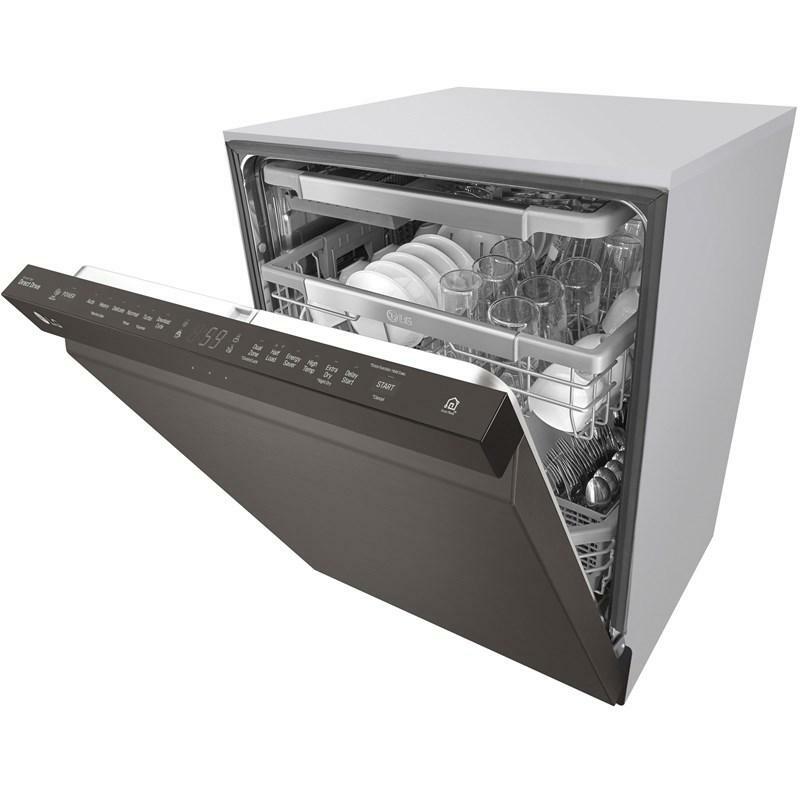 With fewer moving parts, you get reliable performance from one of the quietest dishwashers in its class. 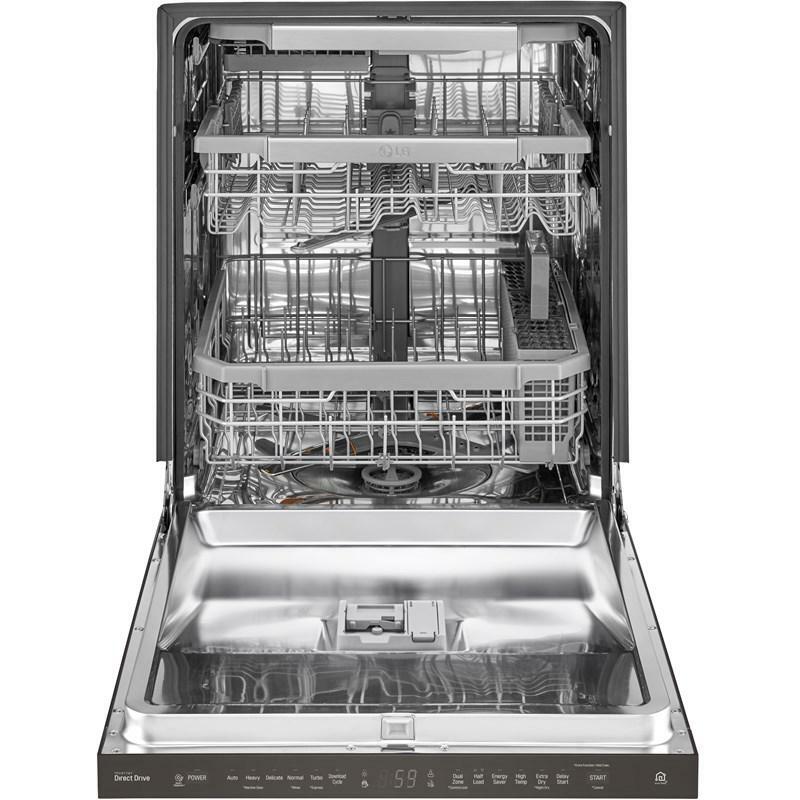 Gently clean your delicate dishes, while power-washing heavy-duty pots and pans with Dual Zone Wash. 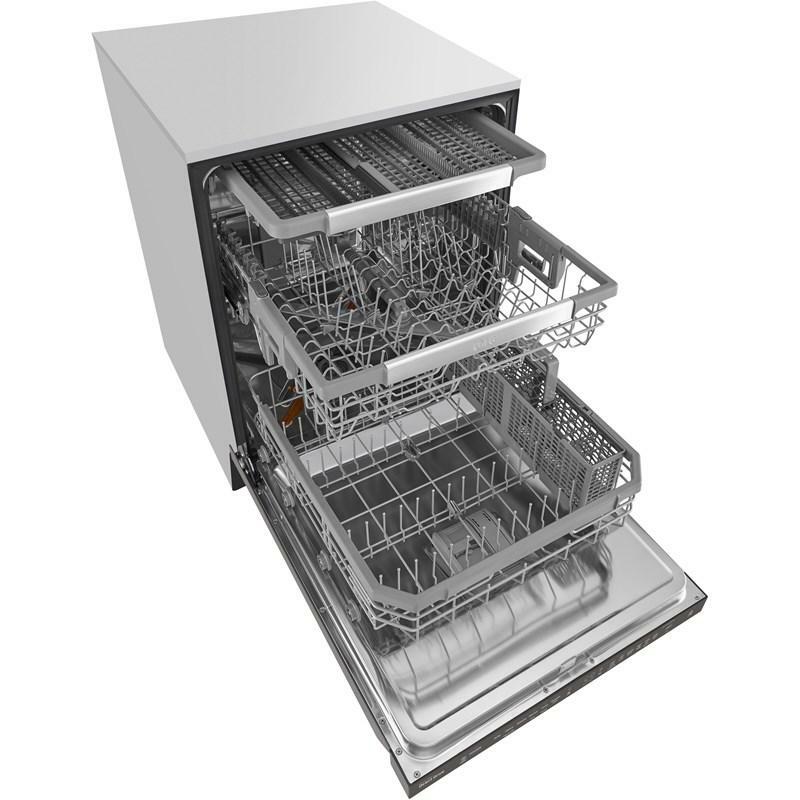 This option allows you to vary the spray intensity in the upper and lower racks. 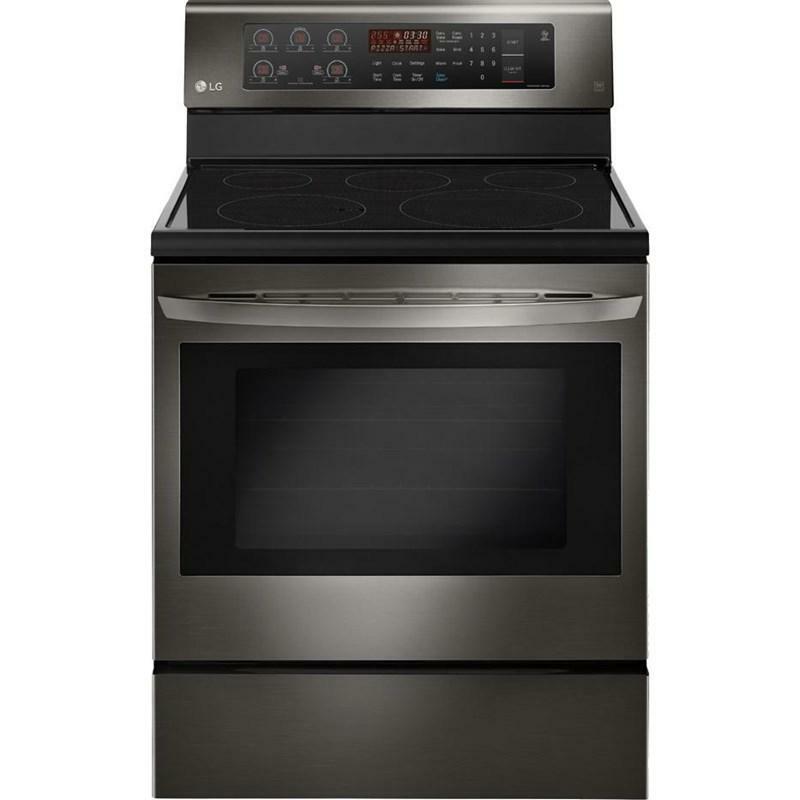 • Upper Rack Dish Height Limit: 7.1"
• Lower Rack Dish Height Limit: 12.5"
Additional Dimensions • Depth with Door Open: 50.5"
• Clearances (WxHxD): 24" x 33.5" x 24"